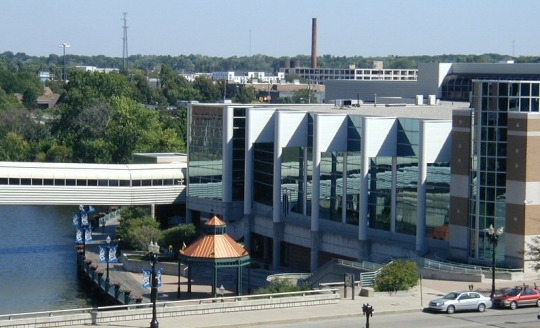 This is the Lansing Center, where the conference was held. This past weekend, I spoke at the Michigan Home Education Conference. It might have been the very first time I have spoken at this convention, even though it has been going on for quite a while. It was held in the beautiful Lansing Center (pictured above), and the weather was quite nice, so I got an opportunity to enjoy the conference center’s riverfront setting. When I wasn’t outside enjoying the view or talking with people at my publisher‘s booth, I was giving talks. I gave a total of six talks at the convention: Homeschooling: The Solution to our Education Problem, ‘Teaching’ High School at Home, Teaching Science at Home, Be Open-Minded, but Don’t Let Your Brain Fall Out, How to be a REAL Environmentalist, and Why Homeschool Through High School. Homeschooling is incredibly efficient and forgiving. It is efficient because the education is tailor-made for the child. As a result, the child can learn a lot more in a set amount of time than one who must sit in a classroom that attempts to meet the needs of all the students there. It is forgiving because it is so efficient. It might take you several years to find the ideal educational approach for each of your children. However, once you find what works, each child learns so efficiently that it doesn’t matter if you wasted a few years. In the end, the child will “catch up” and eventually surpass what he or she would have accomplished in a classroom setting. I wholeheartedly agree with Carol. Homeschooling is incredibly efficient and forgiving, which is why homeschooled students are so outstanding, especially those who were homeschooled K-12. Speaking of the fact that homeschooled students excel, that was the focus of my talk (Homeschooling: The Solution to our Education Problem), which followed Carol’s. I usually discuss a wide range of issues in that talk, but the conference organizers wanted me to shorten it to fit within their program format, so I just talked about studies that compared homeschooled students to publicly- and privately-schooled students, demonstrating that, on average, the homeschooled students are better educated than their peers. As always, I opened that talk up for questions at the end, and I got several good ones. I want to concentrate on one that came from a mother who said that she was not homeschooling yet, but she was thinking about it. She said that she had already heard some of my statistics related to the academic achievement of homeschooled students, and she wondered how much of it was simply the result of their parents. After all, homeschooled students are predominantly from two-parent households, and lots of studies show that this already gives them a head start academically. In addition, education is very important to homeschooling parents, so they would stress scholastic achievement even if they weren’t homeschooling. That has to play some role in a homeschooled student’s achievement. To some extent, I agreed with the mother. When comparing students, you are most certainly comparing parents, and it is often difficult to separate the effects of the parents from the effects of the educational model. Many studies try to select their sample so that the average income, education level, etc., of the parents are the same, but that often can’t be done. Even when it can be done, that still doesn’t guarantee you are comparing children of “equivalent” parents. It only guarantees that the parents are “equivalent” in some ways. However, I do think there is one observable that, at least to a large extent, reduces the effect of the parents, and that’s post-high-school GPA. If a student goes on to higher education, the establishment at which he or she studies has its own admissions criteria, which gives a totally new “selection tool” that can be used to study students. In addition, most students who seek higher education are encouraged to do so by their parents, so that establishes some minimum level of commitment to education. Finally, most parents have to sacrifice to send their children to higher education, so at least to some extent, all the students in the study have parents who are willing to sacrifice for the education of their children. Notice that the homeschool graduates have better GPAs regardless of the “level” of the higher education they are pursuing. Boston University, for example, accepts students whose average ACT composite score is 29. That indicates a rigorous admissions requirement, which automatically selects a specific kind of student. Baylor University, on the other hand, accepts students whose average ACT composite score is two points lower. York Technical College, on the other hand, doesn’t require a high school transcript for admissions. Regardless of the rigor of the admissions process, then, homeschool graduates excel. I would think that if the characteristics of homeschooling parents explained all the educational gains that homeschooled students have relative to their peers, homeschool graduates wouldn’t excel in every level of post-high-school education. The selection process itself should produce students whose parents have similar educational goals and backgrounds, and the students’ success at higher education is less dependent on their parents. Nevertheless, homeschool graduates still excel compared to their peers. This indicates to me that at least some of that success is a result of the model, not just the parents who are executing the model. 3. Cogan, Michael F., “Exploring Academic Outcomes of Homeschooled Students,” Journal of College Admission, Summer 2010. I needed to read this tonight. Thank you for encouraging and exhorting this (tired) homeschool mama to keep going. You are doing the best possible thing for your children, Bethany. Question: What happens when someone who is ‘homeschooling’ his/her children is in over his/her head? Or loses interest? Or just plain stops teaching? I know of such a situation. The assumption here is that all homeschooling is done well with parents who care. But sometimes that is not the case. What should the intervention be? How should it happen? Should it happen at all? Would love to hear from anyone/everyone. Because this is a problem, and it undermines the argument that is being made on this blog. I would say that if real educational neglect is happening, then the family should be reported to the authorities, and the authorities should make a determination about what to do. Every state has a means by which this can happen. The problem is that educational neglect occurs in the schools as well, and based on the studies I have seen, it happens more in the schools than it does in homeschools. Thus, I would think the more important question is what can we do to stop educational neglect in the schools. I appreciate the discussion, Dr. Wile. I’m not trying to tear down homeschooling, but not everyone is cut out for teaching their own children. I think homeschooling parents are afraid to ‘rat’ out others who may not be doing a good job. In the case I know of, people knew there was a problem and did nothing. At least in a school situation a kid is exposed to some kind of learning. I understand that you aren’t trying to tear down homeschooling, KJG. I think it is important, however, to have the correct perspective. I would disagree with you when you say, “At least in a school situation a kid is exposed to some kind of learning.” The fact is that kids are sequestered frequently in school. As a result, lots of kids go through school being exposed to little, if any, learning. This is why 19% of high school graduates cannot read. I know it makes sense to think that kids in school are learning, but the data tell us a completely different story. Now I do agree with you that if you know of a situation that is resulting in educational neglect, it should be reported. However, I do think you have to be careful. There are many different methods of home education, and what one person thinks is an irresponsible method might be the very best method for the children with whom it is being used. I guess that is the point I was trying to make…people involving in homeschooling don’t want to point fingers for fear the finger will be pointed at them. Yes, you should have the freedom to teach your children the way you feel is best, but there is a difference between actually TEACHING and doing ZERO. I know of two, now young adults who were seriously injured in their education and never could make that up. All due to a parent who did nothing and claimed there was ‘homeschooling.’ We shouldn’t be afraid to call these people out and stand up for the kids. I understand what you are trying to say, KJG, and I agree with you. However, at least 19% of high school graduates are seriously injured in their education, and most of them will never be able to make that up. If we should start calling anyone out, it’s the schools. I understand that putting a positive spin on homeschooling is a smart marketing move from your standpoint, but let’s at least acknowledge that the information from which these comparisons are drawn is biased. Ben, this is no “marketing move.” I didn’t know anything about homeschooling until I saw that my best students at Ball State University were homeschool graduates. That got me to look at the data regarding homeschooling, and I think they clearly show that on average, homeschooled students are better educated than their peers. Thus, I started working with homeschoolers specifically because I experienced the products of homeschooling. Had the data not supported my observations, I would never have started working with homeschoolers. I also strongly disagree with the idea that the comparisons made in the academic literature are biased. As I mention in this article, it is clearly impossible to perfectly compare two groups of people, but many of the studies of homeschooling specifically try to correct for demographic variables so that more accurate comparisons can be made. The fact is that even when the demographic variables should favor the publicly-schooled students, the homeschooled students still excel. What the patheos article you linked conveniently neglects to mention is the issue I brought up in this post. There is a lot less selection bias when comparing students at the same institution of higher education. The same selection criteria are used on all students. Nevertheless, even when comparing students at the same institution of higher education, the homeschool graduates excel. This is true for high-level universities, technical colleges, and all institutions in between. Thus, the data strongly support the fact that on average, homeschooled students are academically superior to their peers. We can say that homeschooled students can do well in higher education from the studies which you cite, but we cannot say that ‘all’ homeschooled students do well. We can say that about 20% of public school students are below expectations (I’m citing your numbers) but we cannot say that ‘20% of homeschooled students do not fall below expectations’ because we simply do not have that data. While I applaud the caveats which you sprinkle throughout your blog, I would be careful of painting too rosy a picture of homeschooling. Please read the quote that you gave, Ben. The author is saying that his study cannot be used to compare home schools with public or private schools. As the author notes, that would be fraught with problems. However, that’s not what his study (or any of the other studies) do. They compare homeschooled students with publicly- and privately-schooled students. When that comparison is done, the average homeschool student is better educated than his or her peers. Also, please note that the Rudner study is just one of many studies that I cite. From the many studies I cite, we can clearly say that on average, homeschooled students are better educated than their peers. Given that the average is higher, it also stands to reason that there are fewer who score below expectations as well. You are correct that we don’t have the specific number, because these studies aren’t designed to address that issue. Nevertheless, since the average is clearly higher, the entire distribution is probably shifted towards better results. This is not a “rosy” picture of homeschooling. It is simply what the data tell us about homeschooling. Really Dr. Wile, you’re going to quibble over ‘homeschool’ and ‘home-schooled student’? Your blog sure makes it seem like the results for “home-schooled ‘students’” vs “public-schooled ‘students’” make the case for “home-school” vs “public-school.” I agree that home-schooling done right can produce good results. I daresay that a public-school student with a good tutor throughout his academic career would do just as well. The problem is that for many families homeschooling is not an option. This could be due to the fact that both parents work; that there is only one parent; the possibility that the parents are unqualified to do a proper job; etc. Yet these are the family situations from which the statistics on public school kids are drawn. You can quote higher averages on all of the studies which you cite. Nevertheless, my point about these results is that they are likely missing an unknown number of home-schooled students who did not make the grade and that this is then unfairly compared to statistics from public schools which do include those statistics (by law). Can you cite one study that does account for all home-schooled students? [http://www.researchgate.net/publication/232544669_The_Impact_of_Schooling_on_Academic_Achievement_Evidence_From_Homeschooled_and_Traditionally_Schooled_Students] quoted from Method, Participants on page 197. The families in this study were volunteers and you can draw your own conclusions as to the type of student the respondents represent. To juxtapose this study with another study [http://www.statisticbrain.com/number-of-american-adults-who-cant-read/] where (presumably) nobody was asked to volunteer their data introduces a certain bias to the discussion. That’s just the nature of comparing apples to oranges. KJG mentions a situation with a couple of people who did not fare well under home-schooling. I know of a situation where the kids have been home-schooled and I have some concerns about their social skills. I am unsure as to the quality of their learning but I know that their records are not required by law as they are for public school students. If they happen to be average or (God forbid) below average, we have no way of knowing. Let’s just not forget that there is more to this picture than the available statistics can provide at this point. Thanks, by the way, for your receptivity on this topic. I am not quibbling, Ben. I am keeping you from mischaracterizing what Rudner said. As Rudner makes clear, “…this study is not a comparison of home schools with public or private schools.” You quoted that yourself, so I assume you read it. His entire article compares homeschooled students to publicly- and privately-schooled students, but he then makes clear that he is not comparing homeschools to public and private schools. This is his entire point, and I won’t let you make it sound like he is saying something else. Notice what else he says: “Public schools typically have classes with 25 to 30 students and an extremely wide range of abilities and backgrounds. Home school parents are, by definition, heavily involved in their children’s education; the same, unfortunately, is not true of all public or private school parents. 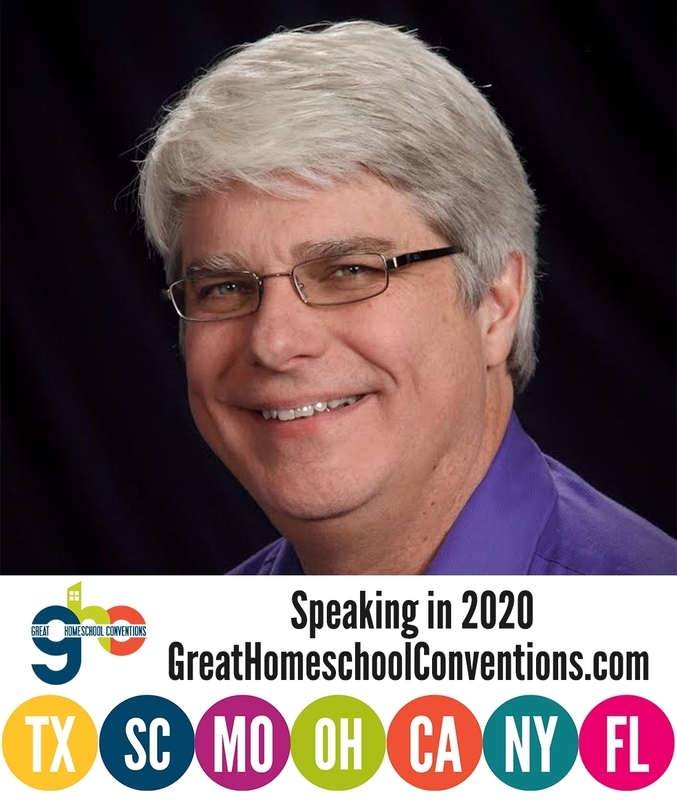 Home schools can easily pace and adapt their curriculum; public and private schools typically have a mandated scope and sequence.” Thus, he is clearly saying that you cannot compare homeschools to public and private schools, because their methods are so utterly different. However, you can compare the students, which is what his study does. And no, my blog does not make the case for homeschool versus public school. My blog simply tells the reader what the data clearly show – the average homeschooled student is better educated than the average publicly- and privately-schooled student. Notice that even when the demographics favor the publicly-schooled students, the homeschooled students are still, on average, better educated. Once again, there is simply no way around that fact, no matter how much it bothers you. The results comparing “structured” homeschooling to publicly-schooled students were definitely statistically significant, adding to the huge volume of data that clearly show the average homeschooled student is better educated than the average publicly-schooled and privately-schooled student. What the authors said were not statistically significant were their conclusions about “unstructured” homeschooled students. I have concerns about the social skills of some of the children in my church who are in public schools, so it is not surprising that you have concerns about the social skills of some students you know. I have concerns about the academic skills of many students in public schools. Thus, it is not surprising that KJG has concerns about the academic skills of some students he knows. The fact is that all forms of schooling will fail some students both academically and socially. However, the data are quite clear that on average, homeschooled students are academically and socially better prepared than their peers. Since the average is higher, one expects the entire distribution to be shifted towards better outcomes.